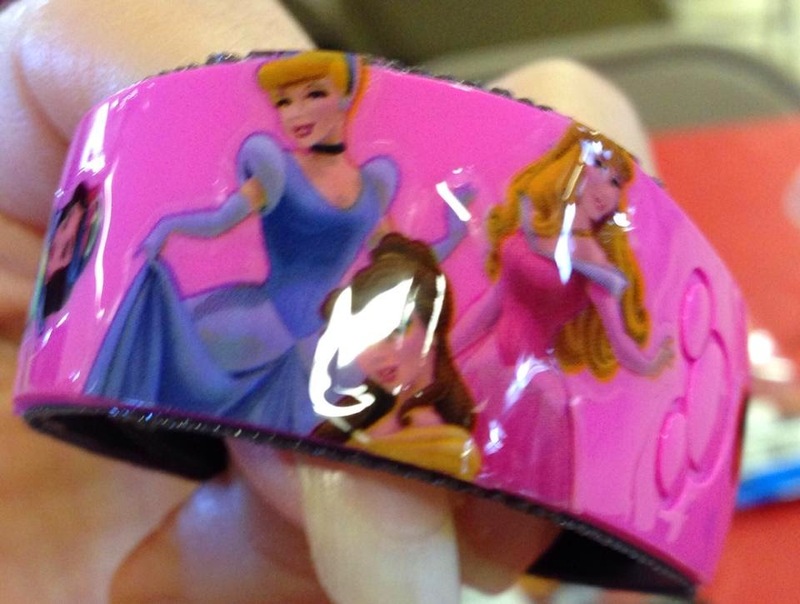 After applying stickers or tattoos you must paint the MagicBand with clear top coat nail polish to seal it. Be carful not to cover the area with the Mickey head in the center of the MagicBand. This is the area with the RF (Radio Frequency) reader that makes the MagicBands work. I suggest applying the polish while the band is closed (or at least making a circle) This will lessen the chance of cracking when it bends. 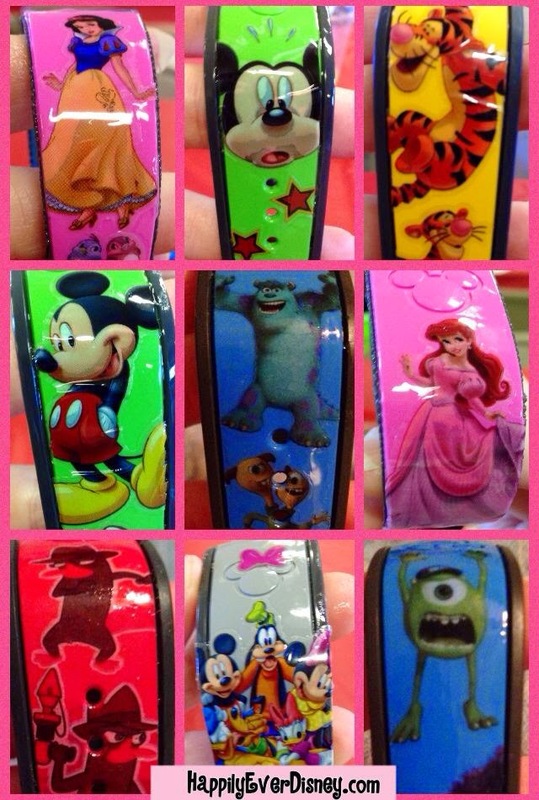 The Monster's Inc. and Phineas and Ferb MagicBands were made using tattoos. To apply the tattoos, simply follow the instructions and apply as if it were skin. I used my pocket knife to cut the tattoo along the edge between the color section and gray section. I then used a damp cloth to rub off any access tattoo that may have stuck to the outer edge. After it was dry to the touch (within a minute) I painted on a layer of clear top coat nail polish. Note: be sure to remove the thin clear protective sheet on the tattoo before applying the tattoo. 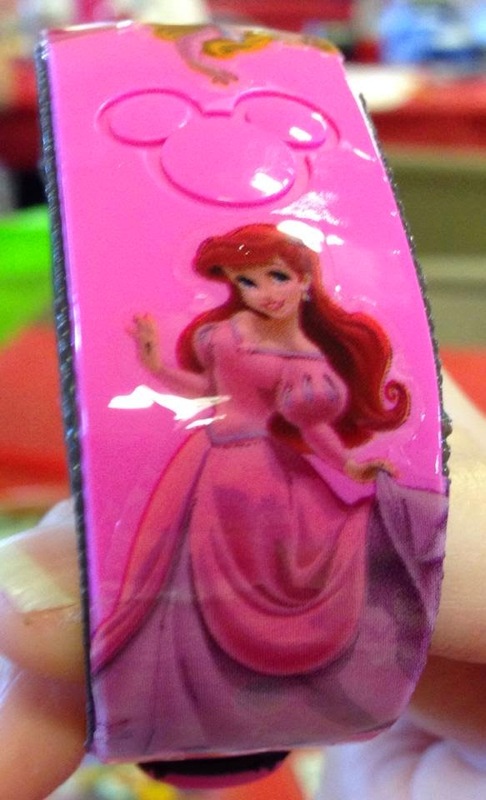 If you don't you'll end up with a tattoo stuck to that instead of your MagicBand. I learned that lesson the hard way. 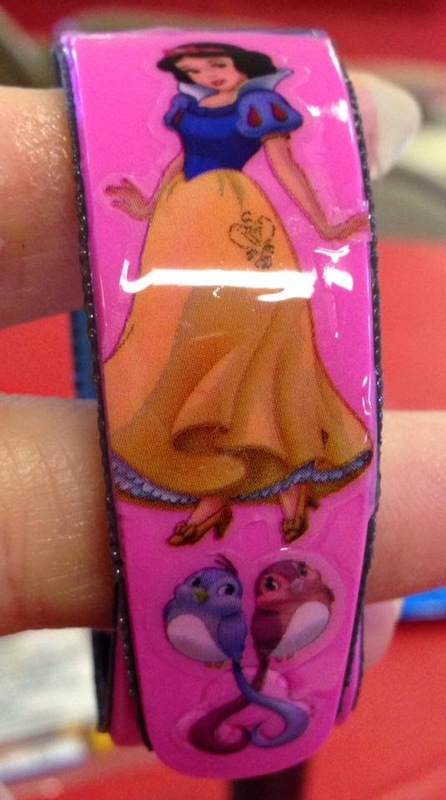 Note: Lighter MagicBand colors will most likely work better with tattoos. To apply the stickers I simply placed them where I wanted. I found it very important to cut the stickers down to the size of the colored section of the MagicBand. 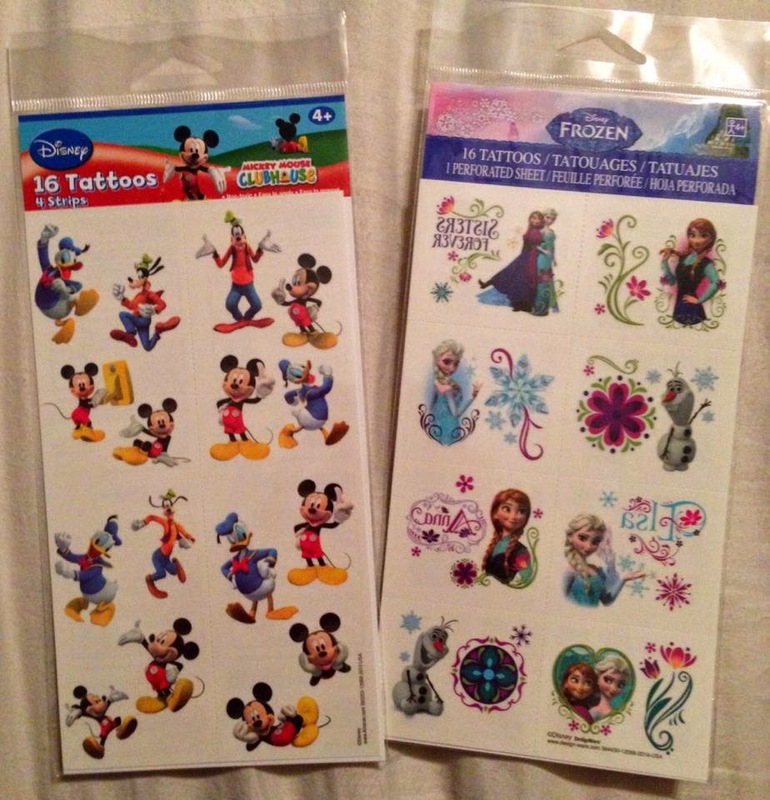 I applied the stickers first then cut them while they were on the MagicBand. To do so I used my pocket knife, but a pairing knife would work just as well. Be sure not to cut too deep or you will go thru the band. Once the stickers had been applied and cut to size I painted on 3 layers of clear top coat nail polish. The stickers are thicker and can come up easier if you don't have multiple layers to hold them down. Note: if any of your stickers cover any of the holes, you will need to seal the holes from the other side with nail polish and you will not be able to use those holes to close the MagicBand. If you do not seal them, water can get in and get between the band and sticker and cause them to fall off sooner. Note: You must use plastic stickers as the paper ones will disolve when wet. 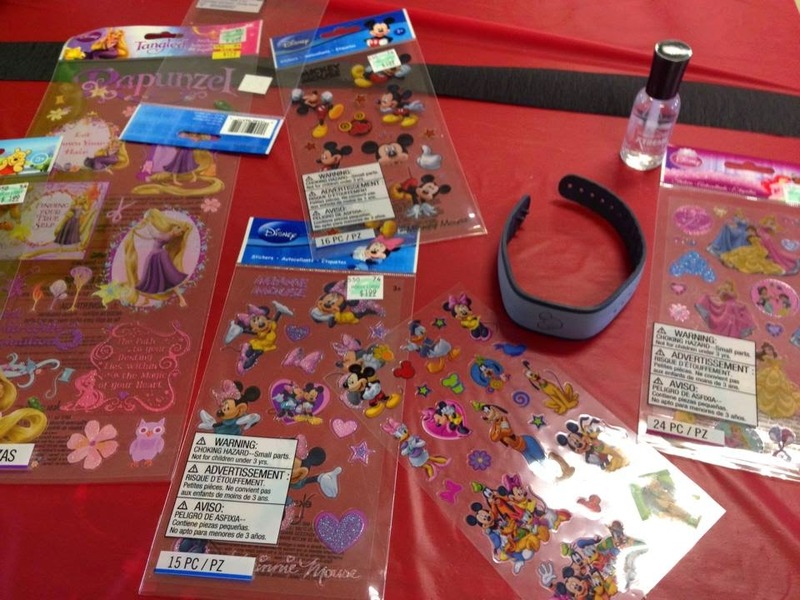 The Tigger, Princess, Mickey and Fab 5 MagicBands were made using stickers. UPDATE: The bands held up really well! We also had no issues with the bands working. I was a little worried because I put a small sticker and enough nail polish to hold it on just over the center Mickey Mouse that you touch to all the scanners, but it did not effect it. The MagicBands with temporary tattoos looked exactly the same on our last day as our first day. (We were there 9 days.) The ones with stickers mostly held up. At least one sticker on my youngest son's began to peel up, but remained on. I had a little peeling on mine near the edges, but you had to mess with it to notice. My oldest son's band was completely void of stickers by our last day. He is 15 and is very fidgety and just couldn't leave them alone as they began to peel. We did not wear our bands in the shower or to sleep. This might make them not last as long, but you never know. They were just to bulky and uncomfortable, so we took them off once we were in the room for the night and put them back on on our way out. I would imagine the stickers might peel more if in water a very long time. The tattoos should be perfectly fine in water though. Knowing what I learned this trip, I think next trip I will stick to temporary tattoos. They were cheaper, easier to find and I don't have to worry about them possibly pealing off. But if I find really awesome stickers that I love I may use them too! One thing I did notice is that hardly anyone else had personalized MagicBands. We got so many compliments from cast members and others in line wanting to know where I got them. They were all really impressed that they were homemade and often asked how to make them. It was also a nice way to start a conversation with the face characters. All the princesses noticed my daughters band and used it as a way to get her to warm up to them. Feel free to let me know if you personalize yours and with what characters in the comment section below. For the past 6 years Indy Disney Meet has organized an annual gathering of Disney fans. Each year people from all over the country gather to enjoy a day of Disney chatting, games, food, pin and vinylmation trading, prizes, kids' activities and more. 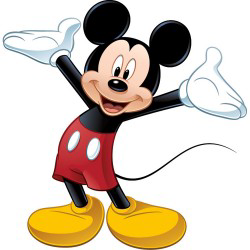 Indy Disney Meet will also be raising money for Give Kids the World Village of Central Florida thru games, raffles, and other activities. The event is FREE to anyone wanting to attend. They do ask that you bring a pitch-in dish. You can contact the event organizers to let them know that you will be attending and bringing a dish, so they don't end up with 100 seven-layer dips. You may contact them through their facebook page HERE. To learn more about the event and get updates please CLICK HERE. If you are traveling from out of town, Indy Disney Meet has arranged for a great deal at a local Cambria Suites. Here is the info from the Indianapolis Disney Meet information page. The Cambria Suites is the preferred hotel for the Indianapolis Disney Meet. Located 4 miles from the meet location the Cambria Suites is right across the street from the Hamilton Town Center shopping mall with convenient dining and other entertainment options. Rooms are available for $119 plus tax per night for King Suites and $129 plus tax per nigh for Double Queen Suites. Prices include a breakfast buffet each morning for up to 4 guests in your room. Ask for room block Give Kids the World when booking. The Indianapolis Internation Airport is located on the Southwest side of Indianapolis. The Indianapolis Disney meet is located on the Northeast side of Indianapolis. The two locations are in opposite corners of the city. A rental car is recommended unless you have other means of transportation around the city. Indianapolis does not have a mass-transit system. I live in the area and go to this hotel with my family just for the fun of it. They offer GREAT rates, a fun indoor/outdoor pool, are kid and pet friendly, super nice staff and a bunch of freebies. The breakfast is a large buffet as is the evening kickstart which also includes 3 FREE "adult" per guest(21+) per night. There is always an esaver code to save on your Drury stay too. You can find the code HERE. Here are just a few of my favorite things offered by Drury. I hope to see many of you there! It's sure to be a fun and magical day. New Frozen events, characters, activities and more coming to Disney's Hollywood Studios for Summer!!!! This event has been extended to September 28th. Note: The "frozen" Fireworks Spectacular will only take place on Fridays, Saturdays and Sundays after September 5th. Looks like Olaf will finally get to enjoy Summer. 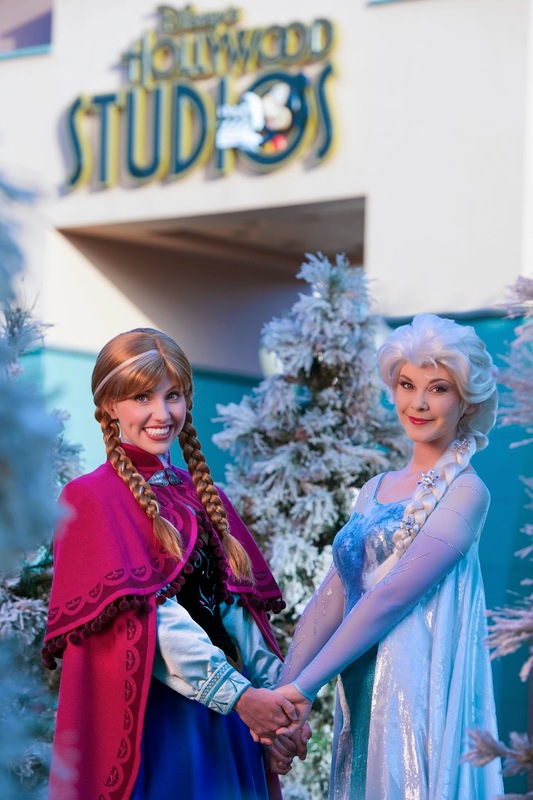 He, Anna, Elsa and Kristoff will be making appearances in Hollywood Studios begining July 5th and running through September 28th. I'm really hoping this is just the beginning of more Frozen experience and character meet. This should also help with the insane traffic and wait times for Anna and Elsa in Magic Kingdom and spread crowds across the parks. You can know book a Premium Package for this event. The Frozen Summer Fun Premium Package, is available daily July 5 – September 1, 2014 (not available August 23). Packages for the newer dates will be announced soon. Call with Disney to see if they are available. Guests who book the package will check in at Min and Bills Dockside Diner starting at 10:30 a.m., then enjoy refreshments and reserved viewing for Anna & Elsa’s Royal Welcome procession at 11:00 a.m. Later on, they’ll experience reserved seating at one showing of For the First Time In Forever: A Frozen Sing-Along Celebration, which takes place between 12:30-7 p.m. The evening will end from 8:30 – 10PM with an exclusive dessert party in a reserved area for viewing of the nighttime Frozen fireworks spectacular. (Note: Anna and Elsa’s Royal Welcome procession and the dessert party offers a reserved viewing area, no seating is available. Wheelchairs and ECVs will be accommodated). Packages cost $69 for adults and $34 for children (including tax and gratuity). Discounts do not apply. Park admission is required. Subject to restrictions and change without notice. Book this package now by calling 407-939-1939. Please note: There will be no fast passes for any of the events. Characters will be making appearances, but NOT doing character meets/autograph sessions. Cinderella's Royal Table closed for refurbishment thru March 7th, 2015. 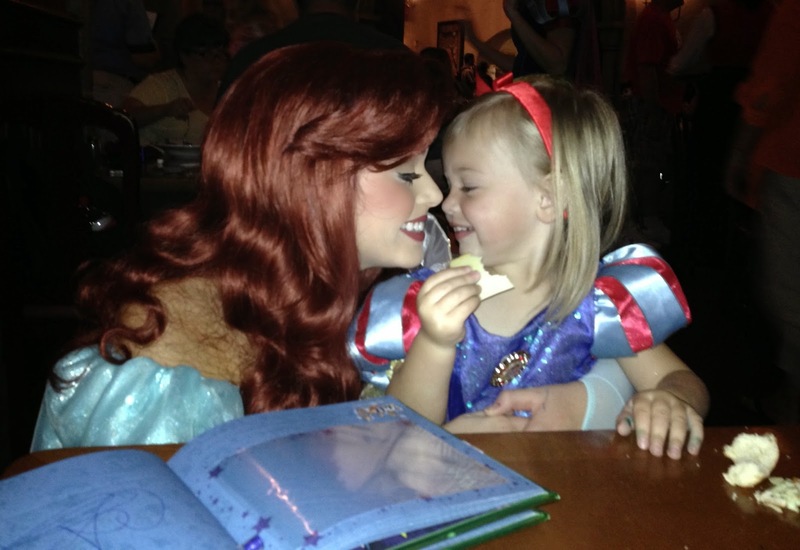 Here are 3 alternatives for dining with princesses. UPDATE: Cinderella's Royal Table has reopened. It was just announced that the very popular restaurant in Magic Kingdom that offers a character meal with Cinderella will be closed for refurbishment from January 5th, 2015 through early March. 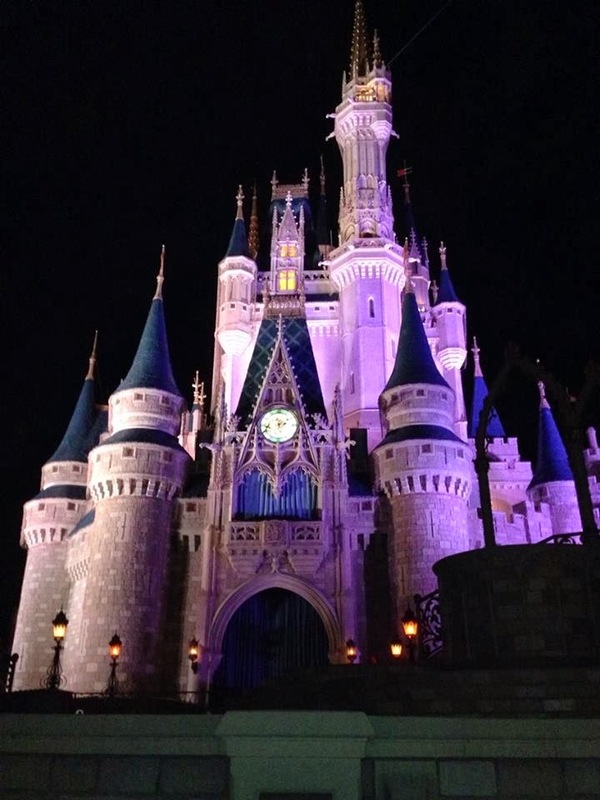 Cinderella's Royal Table is expected to reopen March 7th, 2015. 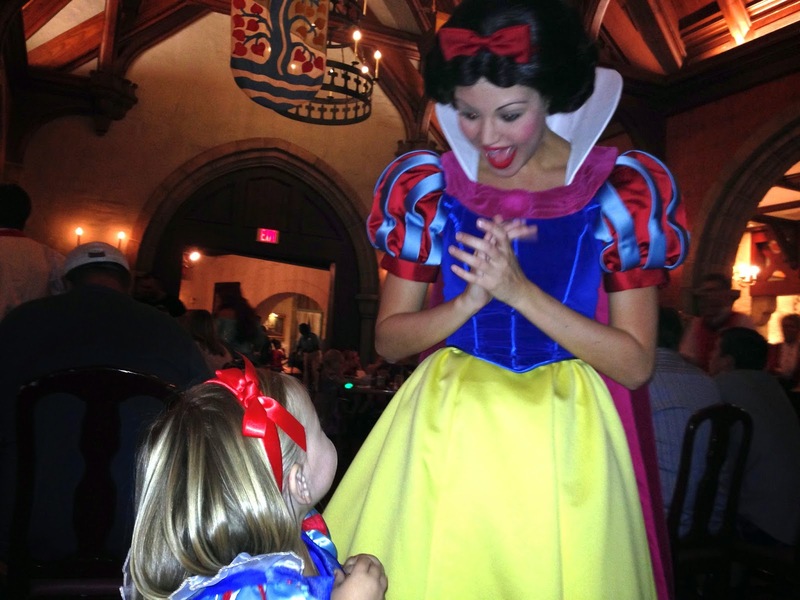 Guest looking for a princess character meal for their young ones may want to book Akershus Royal Banquet Hall in Epcot. Breakfast, lunch and dinner are offered daily with varying menus. At lunch and dinner Akershus offers a sit down service that includes items off a menu and a small cold buffet called "Taste of Norway" that offers meats, cheeses, cold salads, fruit and more. (Taste of Norway is included with your meal at no additional charge). Breakfast is a buffet that includes both American and Norwegian breakfast favorites. Dining is 1 table service credit on the dining plan. You also receive a free family photo package with a princess. Princesses currently at Akershus include: Cinderella, Snow White, Ariel, Aroura and Belle. For more information, menus and reviews please refer to the Disney Food Blog. To make reservations for Akershus, CLICK HERE, or call 407-939-5277. These pictures were taken during a dinner at Akershus Royal Banquet Hall. We have plans to return for breakfast this year as well. If you cannot get into Akershus, will not be visiting Epcot, or don't like the menu options offered at Akershus, another good option is dinner at 1900 Park Fare in The Grand Floridian Resort just outside Magic Kingdom (and on the monoraill route). For 1 table service credit on the dining plan, guest can enjoy and all you care to eat buffet featuring popular American foods. 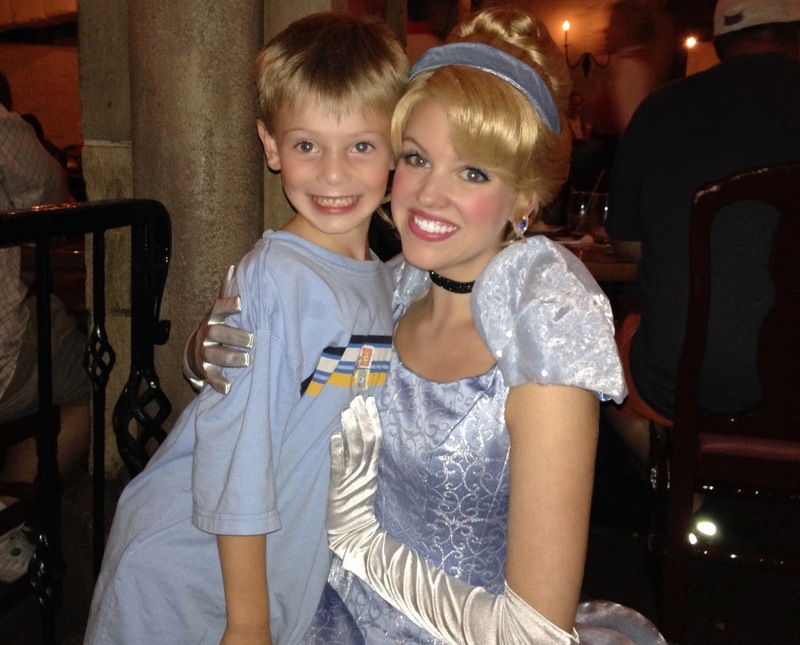 PLEASE NOTE: Cinderella and Prince Charming are only present for dinner, NOT breakfast. Lunch is not offered. For For more information, menus and reviews please refer to the Disney Food Blog. To make reservations for 1900 Park Fare CLICK HERE, or call 407-939-5277. 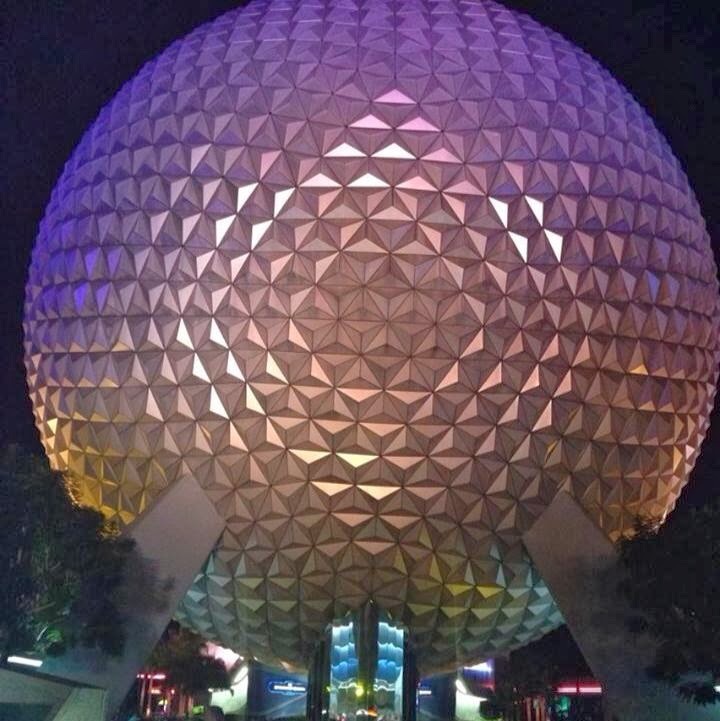 Where We Have Eaten at Disney World and what's on the Agenda for Our Next Trip. Eating is one of our FAVORITE things to do in Disney. Below is a list of all the places we have tried and a list of those on the agenda for our next trips. Each one is a clickable link that will take you to the Disney Food Blog for a full review and menus for each one. I am not affiliated with The Disney Food Blog, I simply believe it is one of the greatest assets for researching places to eat before and during your trip. Each restaurant is different and offers very distinct dining experiences. It is good to know ahead of time what type of cuisine is offered, the prices and the style; for example buffet, family style, order off the menu or counter service. 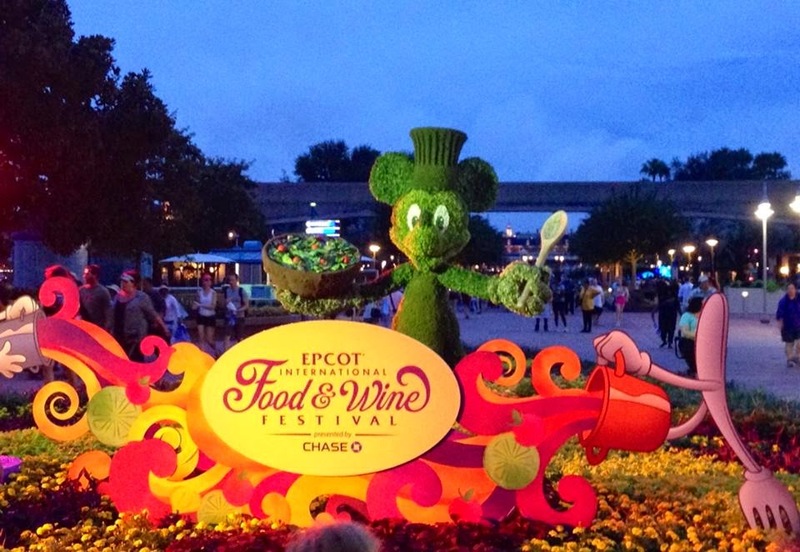 We also enjoy The International Food and Wine Festival. You can find a list of all the items we were lucky enough to try in 2013 and 2014 below. The Edison COMING IN LATE 2017! Wine Bar George COMING IN LATE 2017! I had a goal to try 1 of EVERY food item this year. I am happy to report I met my goal!